On Wednesday afternoon, members of the House and Senate gathered for a conference committee meeting to discuss the bills passed by each house to impose sanctions on Iran. As I sat down at my desk to write this, I pulled out my Roget’s Thesaurus to see how many synonyms for “crippling,” ‘crushing,” “overwhelming,” “suffocating,” and so on there are. There are a lot. And many of them, including those just mentioned, were used by members of Congress competing to see strongly each one could condemn Iran. 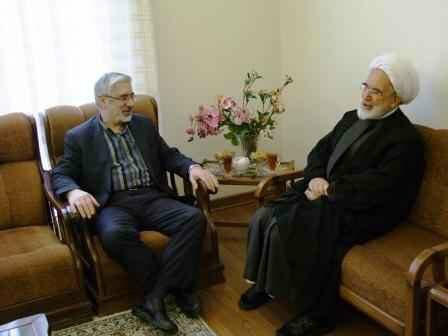 Mir Hossein Moussavi and Mehdi Karroubi, leaders of the opposition Green Movement, are making new efforts to reach out to Iranian labors and teachers. May 1 and May 2 are Labor Day and Teacher’s Day in Iran respectively. In a statement praising the importance of Labor Day and Teacher’s Day, Moussavi complained that domestic markets were handed over to forefingers and foreign goods have replaced Iranian manufactured products. Iranian President Mahmoud Ahmadinejad is expected to attend the conference, which opens on Monday and runs until May 28. He will be facing off with Secretary of State Hillary Clinton, who heads the U.S. delegation at the meeting at U.N. headquarters. Diplomats expect Ahmadinejad to take a defiant stand against the United States and its Western allies, accusing them of trying to deprive developing states of nuclear technology while turning a blind eye toward Israel’s nuclear capability. 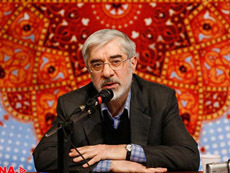 MirHosein Mousavi, the disputing candidate of the June presidential elections in Iran announced once more that without “competitive elections”, release of all political prisoners and freedom of all labour and national organizations, the political problems of Iran cannot be resolved. Two opposition leaders have urged Iranians to renew protest demonstrations on the June 12 anniversary of the election that gave President Mahmud Ahmadinejad a second term. Opposition websites reported that Mir Hossein Musavi and Mehdi Karrubi issued the call after a meeting today. Musavi and Karrubi lost out to Ahmadinejad in last year’s election and still refuse to acknowledge Ahmadinejad’s victory, accusing him of massive vote fraud. Security forces have cracked down heavily on protests against the election outcome, with scores of protesters killed and thousands arrested. Is the Irans Sanctions Debate Justifying Military Intervention? WASHINGTON — To an outsider, it may seem like Washington is united in favor of imposing new sanctions on Iran. But, like in Iran itself, the internal wrangling over this question among Washington policymakers is much more complex and divided by factions than one may assume. Relative of one of the organizers of the strike has informed Jaras website that yesterday was the first day of the prisoners’ strike. Reportedly at first they intend to go on hunger strike every Thursday and then increase the days as they approach the June 12 anniversary of the presidential elections which protesters maintain was rigged to secure Mahmoud Ahmadinejad’s victory. In response to the mass protests against the alleged fraud in the elections, the Islamic Republic has arrested thousands of people. Many of these prisoners are languishing in dire conditions in prisons. Head of Revolutionary Guards Political Advisory, Yadollah Javani announced that the Revolutionary Guards will take over Total and Shell investments in Iran’s oil industry. 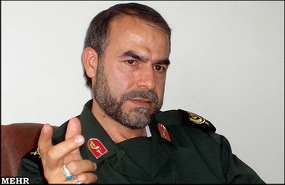 Commander Javani told ILNA that the Revolutionary Guards has reached such “capability and power” to take over from the foreign companies. In December, Hojjatollah Ghanimifard, deputy investments chief of Iran National Oil Company announced that the French Company Total is no longer involved in the 11th stage of the natural gas developments in Southern Pars. In the past months the US has worked persistently on the international scene to restrict Iran’s relations with international oil companies. It appears that in the absence of international companies, the Revolutionary Guards are willing to replace them in Iran’s oil and gas projects. Planning for foreign wars is the Pentagon’s job. But a flurry of tough statements and alarming predictions by defence department officials about the potency and imminence of the Iranian “threat”, including the possibility of a missile strike on the US, suggests a different kind of warfare could be breaking out at home, within the Obama administration itself. The looming battle is shaping up as a contest between those who believe Barack Obama’s carrot and stick policy can still induce Tehran to abandon its alleged nuclear weapons-related activities; and those who, despairing of diplomacy and sanctions, are beginning to speak in favour of a more directly confrontational approach. 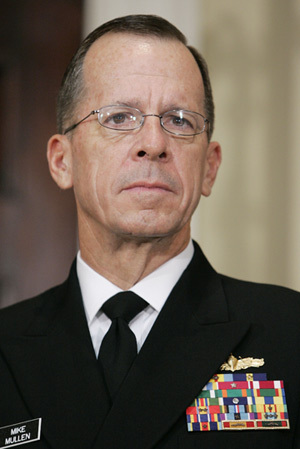 Joint Chiefs of Staff Chairman Adm. Mike Mullen said at Columbia University that a military strike on Iran over its nuclear enrichment activities would be his “last option.” He makes an excellent point, too often overlooked. In some instances the price of doing something is just about as high as the price of doing nothing. A U.S. strike on Iran would risk throwing Iraq and Afghanistan into chaos, with our troops in the midst of it. The Obama administration is now moving to tighten economic sanctions on Iran, as an alternative to a more direct approach. These measures include pressuring countries and firms not to buy Iranian petroleum and gas; pressuring them not to sell gasoline to Iran; and attempting to make it difficult for Iranian banks to interface with the world economic system.